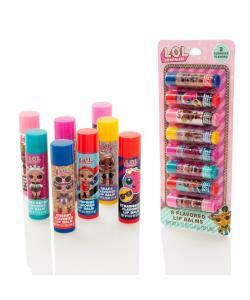 Each Lip Balm stick features a different LOL Surprise doll and gorgeous flavour. 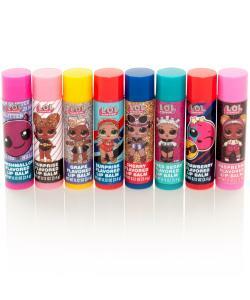 10 great flavours including Marshmallow, Cherry, Wild Berry and more. 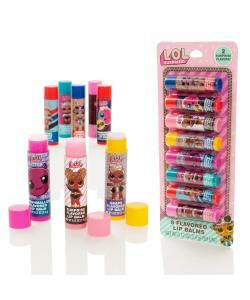 Also includes 2 surprise flavours - can you guess the flavour? 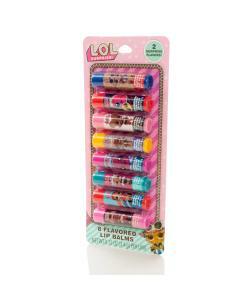 Each Lip Gloss moisturises and softens lips.